It is often useful to search using a range query. 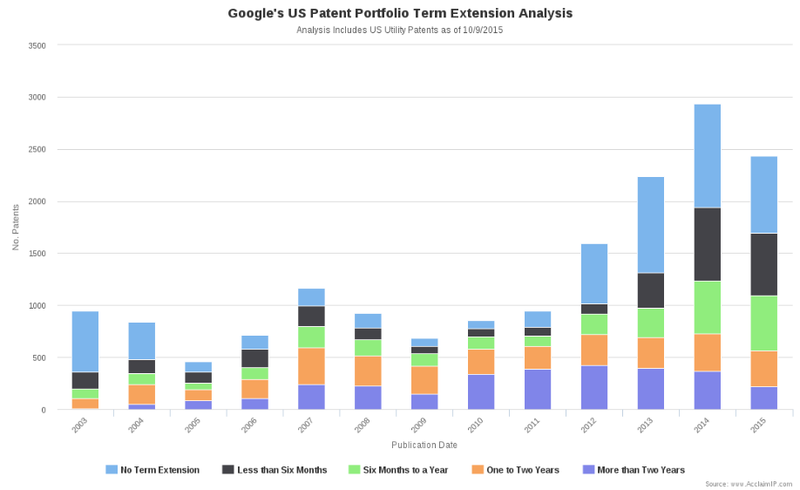 ANA_EXT_DAYS:[366 to *] --> Returns patents with term extensions longer that one year (366 days or greater). 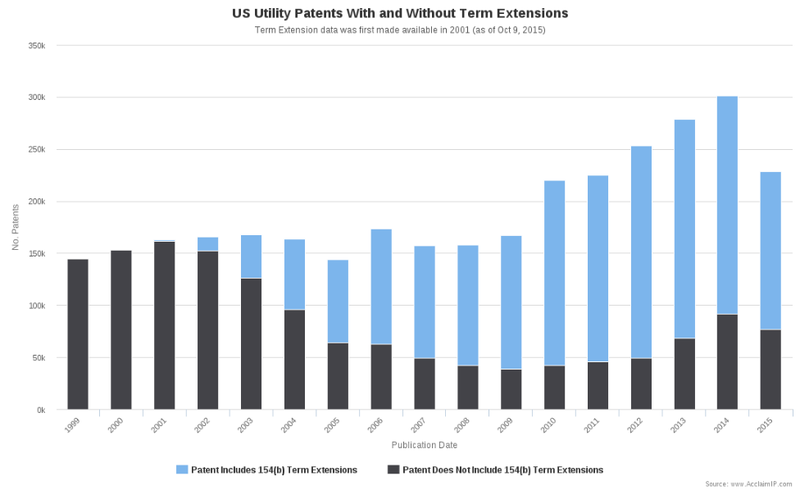 Some users also want to see patents that have no term extensions. You can use the FIELD field code to look for patents with no term extensions. The chart below was made using a series of range queries and the ANA_EXT_DAYS field code. I used a stack bar to indicate that each year is represented by a whole bar, which is then broken up into individual segments.